One of the many Marvel Netflix series that has fans binge-watching every few months is Luke Cage, based on the popular “hero for hire” from the streets of Harlem. 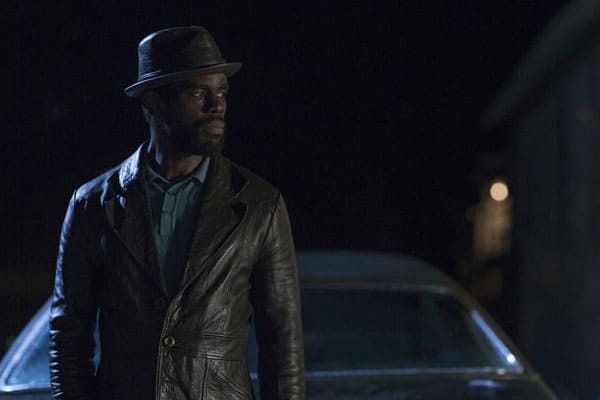 Joining the series for the second season is The Deuce star Mustafa Shakir, who plays the villain Bushmaster. Speaking with The Hollywood Reporter, Shakir spoke about the challenges of getting into character as the Bushmaster and why the character finally “clicked” for him on the fourth day of shooting. “For me, my first order of business was to scour as many film documentaries, interviews, what have you, about Jamaica and Jamaican accents, to just really inundate myself with the culture. I did that for a bit. I listened to a lot of Nyabinghi music, which is Jamaican gospel. And for some reason, more than anything else, that sort of brought out this feeling and this vibe about who this character is about. All of that prep, that research and what have you, was cool, but the first day of shooting I was still [uncertain]. Until you do it, you just don’t know it.